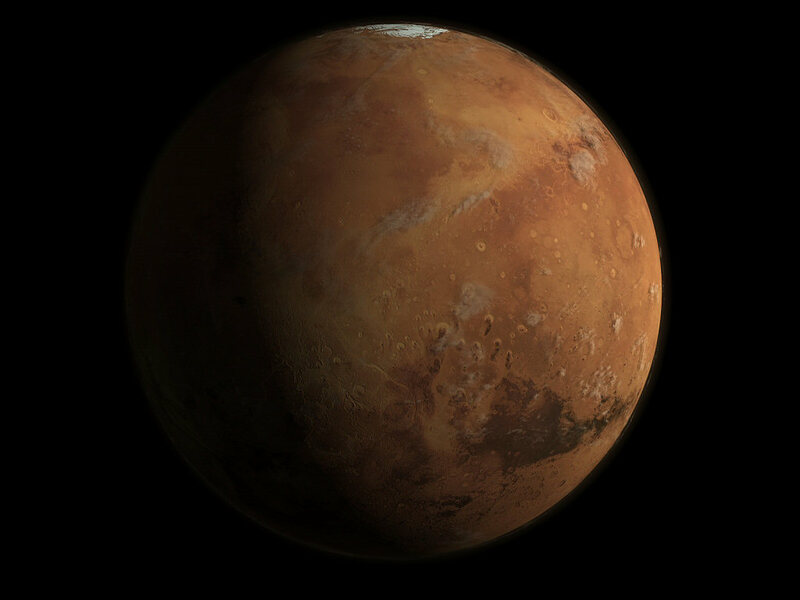 Today's Image of Mars is a Space4Case depiction of the Red Planet as it looks in modern times. This image is computer generated using data primarily from Mars Orbiter Laser Altimeter (MOLA), which helps to determine variations in elevation on Mars. This image was shown in the July 2005 edition of National Geographic. Clicking on this image will take you to the original, larger image.